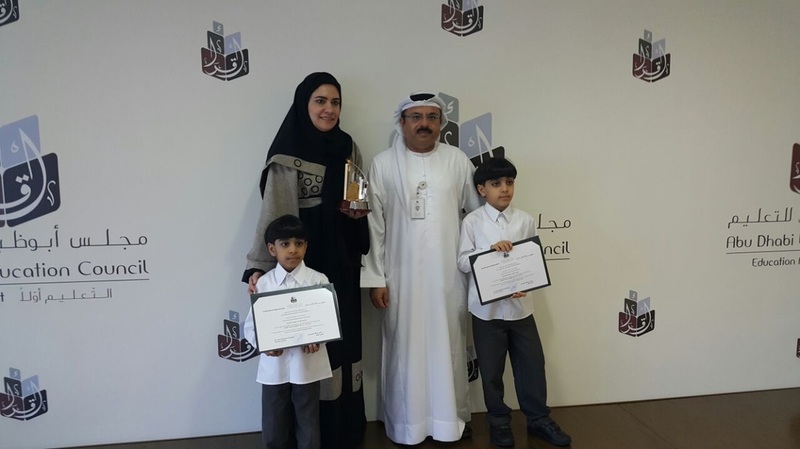 We are so proud of ﻿Mohammed Al Maazmi ﻿who won an award yesterday for a science project he submitted to ADEC. Well done Mohammed. 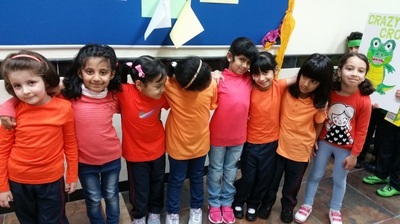 The children are really enjoying learning about the properties light and sound. 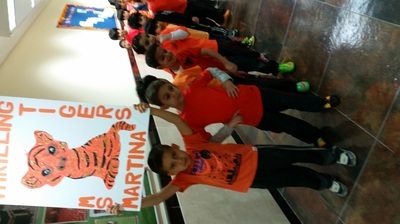 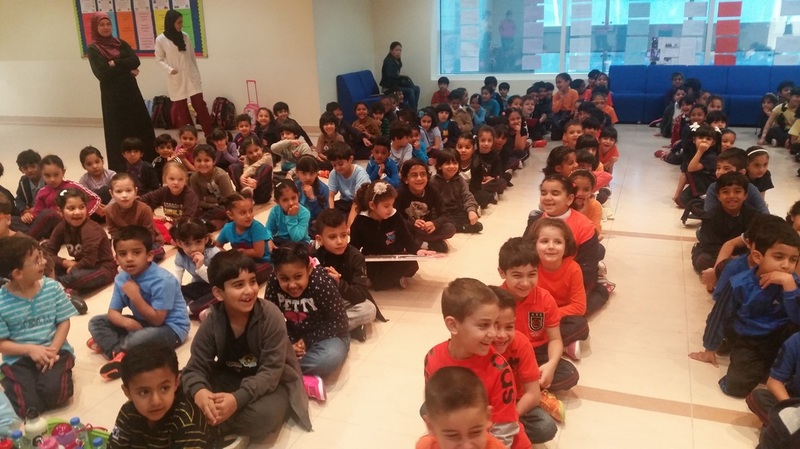 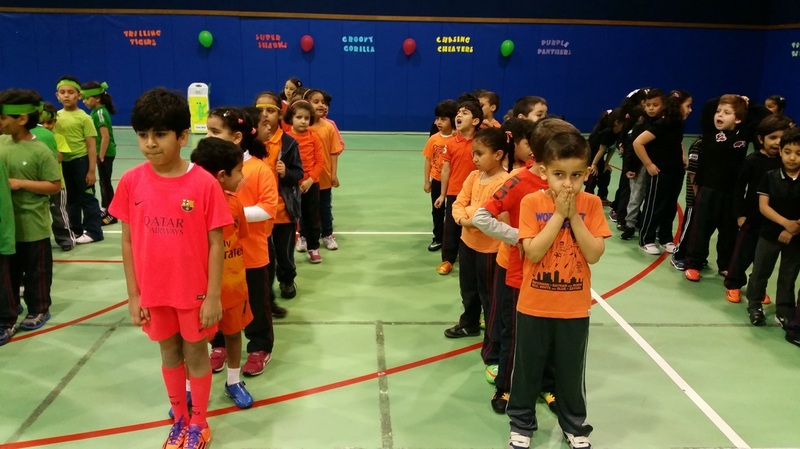 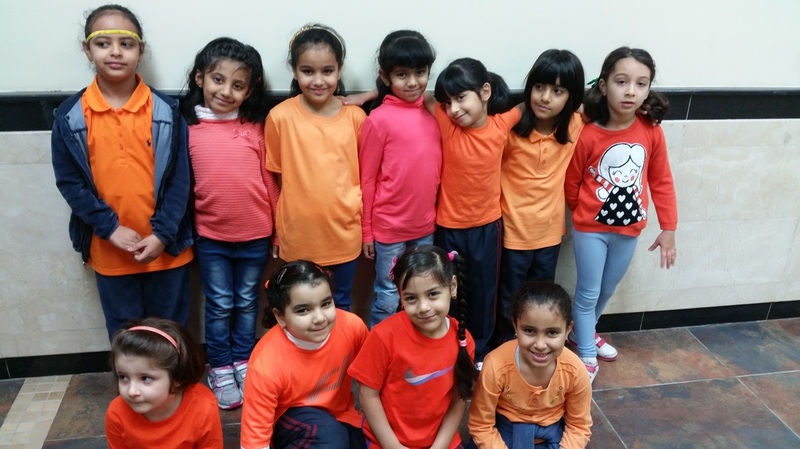 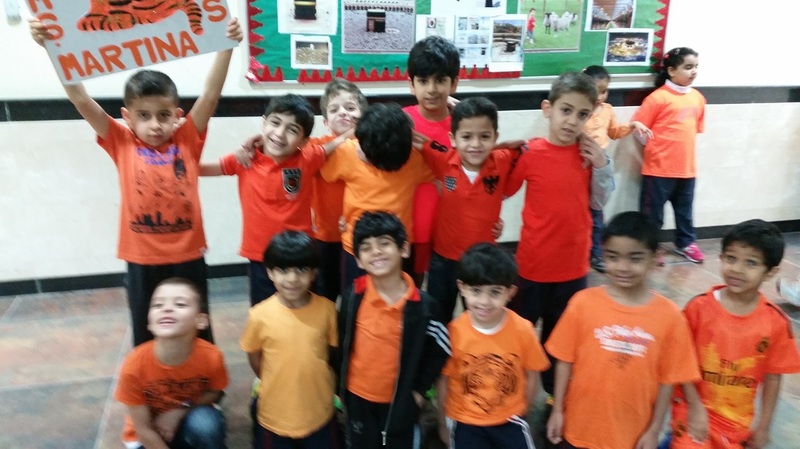 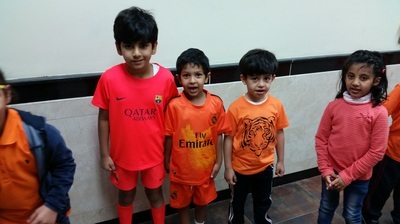 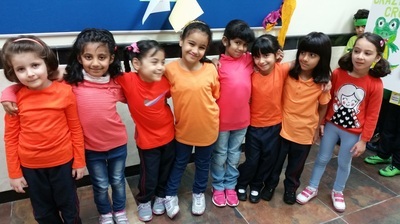 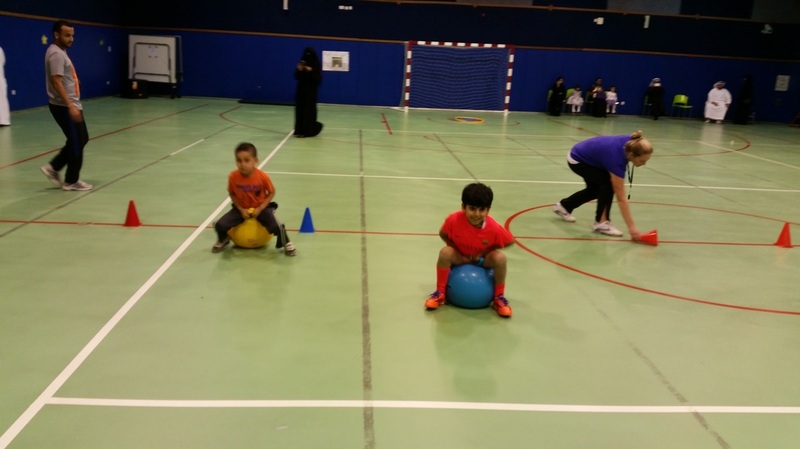 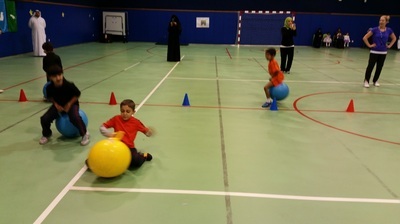 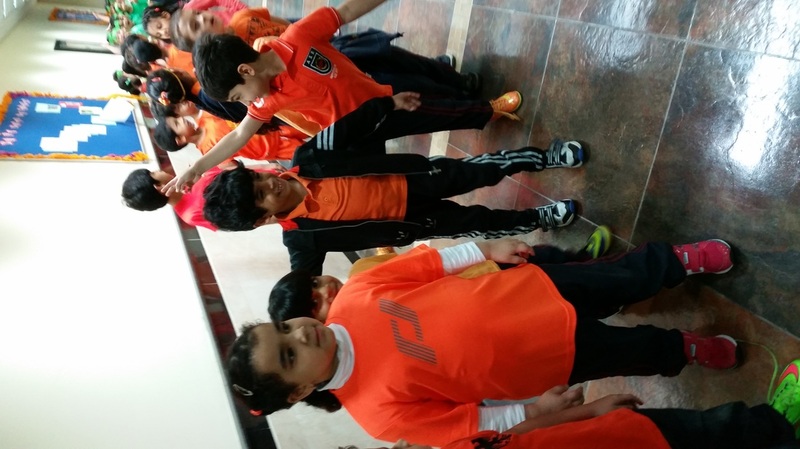 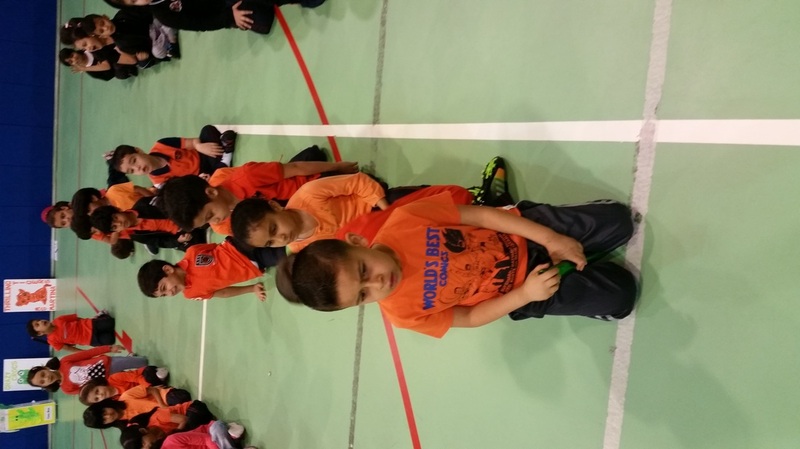 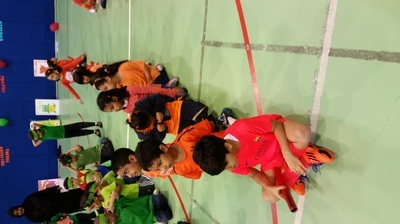 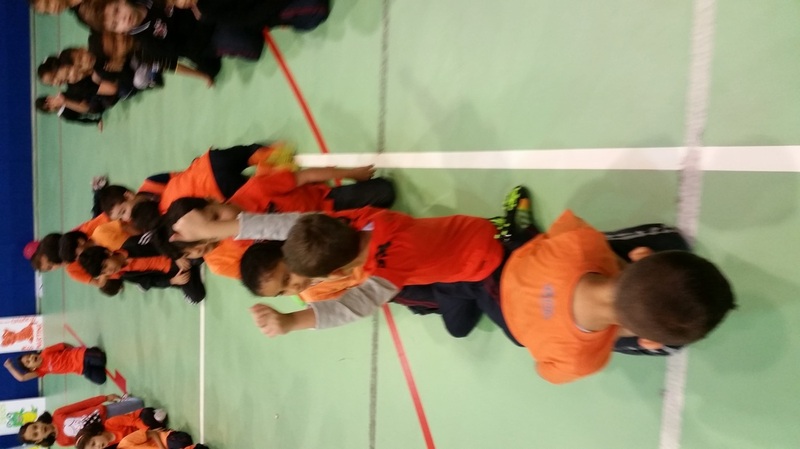 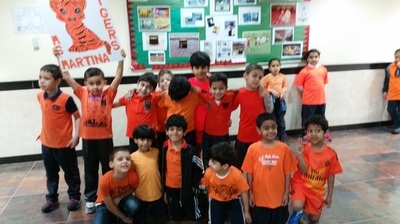 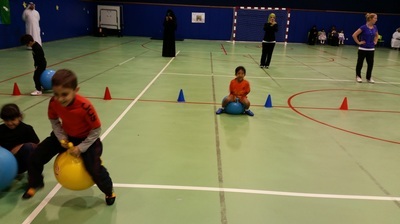 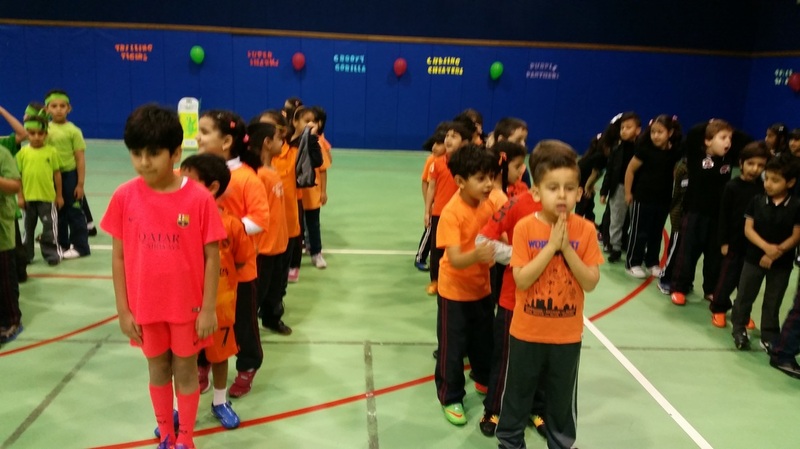 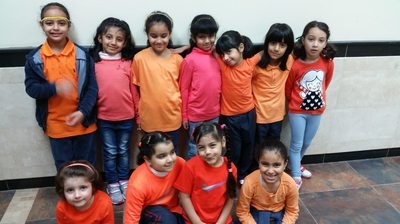 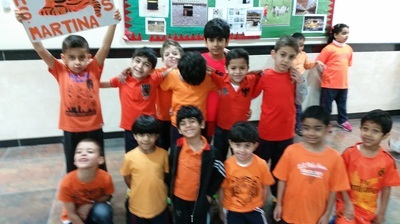 The children had a great day at Sports Zayed City. 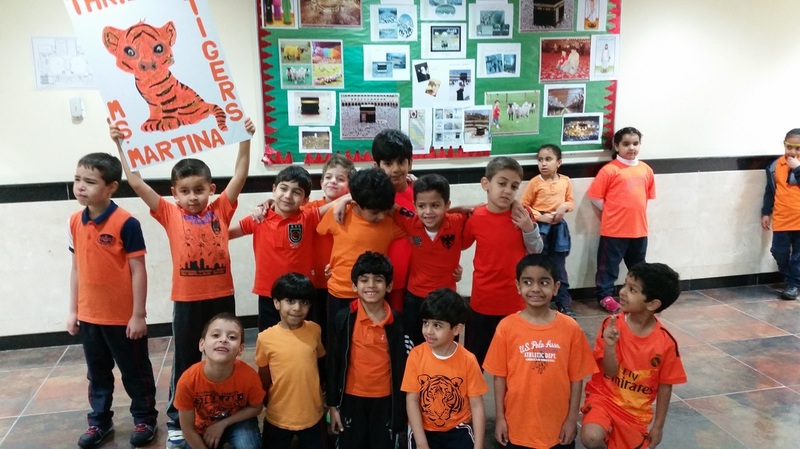 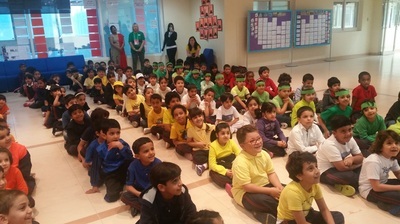 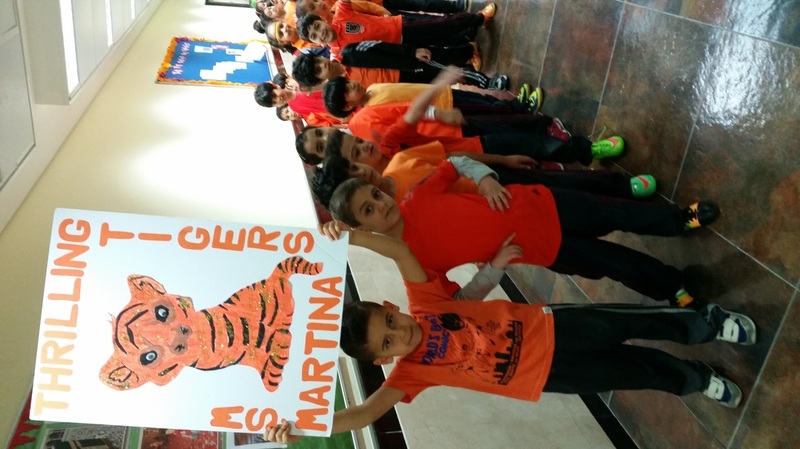 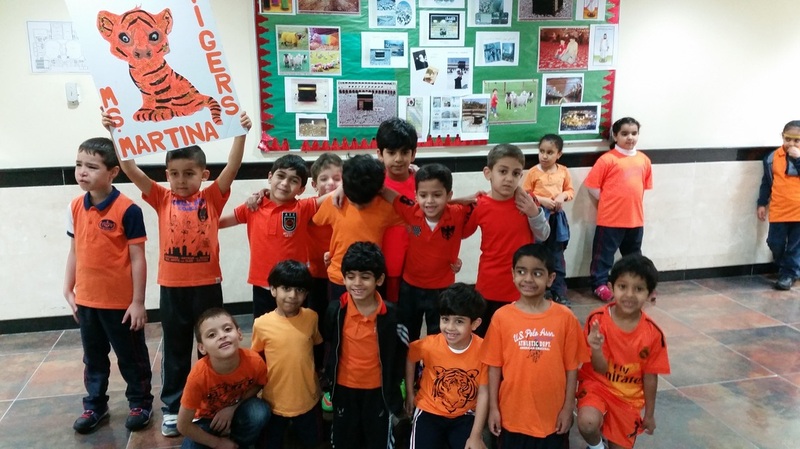 We had a great day celebrating National Day. 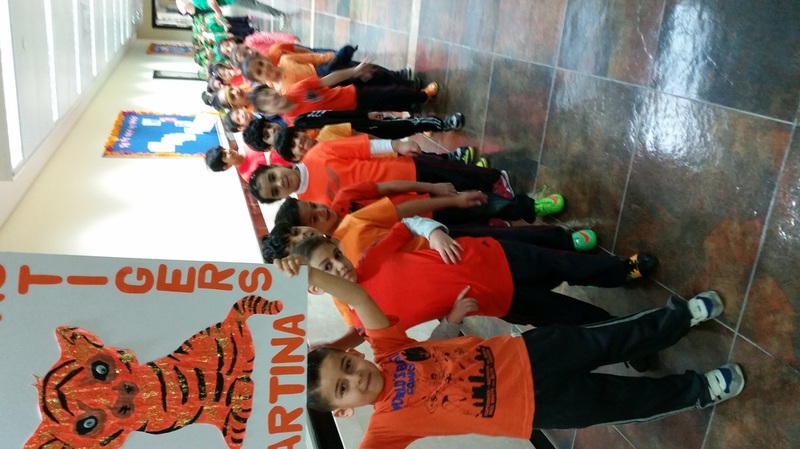 We had a great day on our school trip. We went on a boat and looked for fish in the ocean. 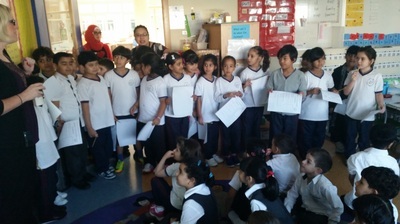 The children wrote excellent reports on ocean animals at home. They then shared their reports with their class. 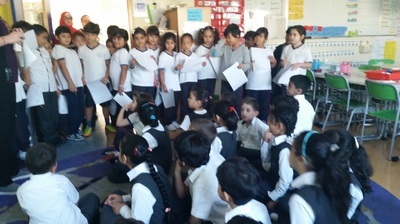 The children did a great job presenting their projects. 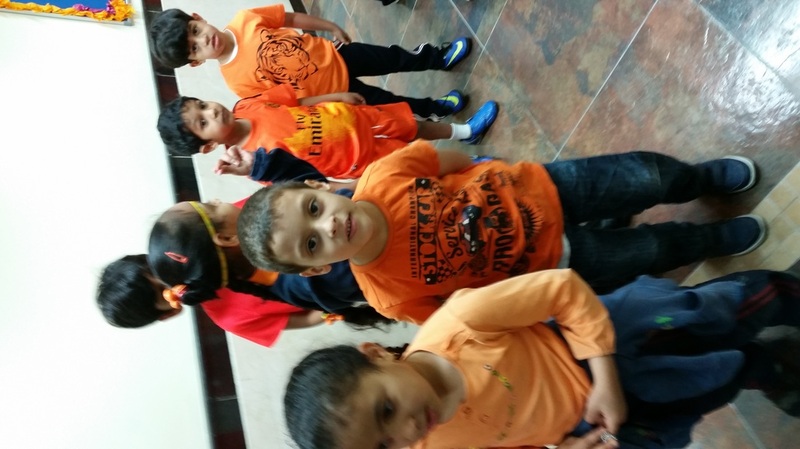 We were learning about time this week . we learnt how to regognise time to the half hour and hour. We love playing Math Games in Grade 1. Here we are learning how to play 'Rolling for 50'. both players start at zero and take turns rolling a dice. The first player to reach 50 is the winner. Ms sarah's grade 2 class came down to our classroom to ask us some questions about our responsibity in our classroom and in school. 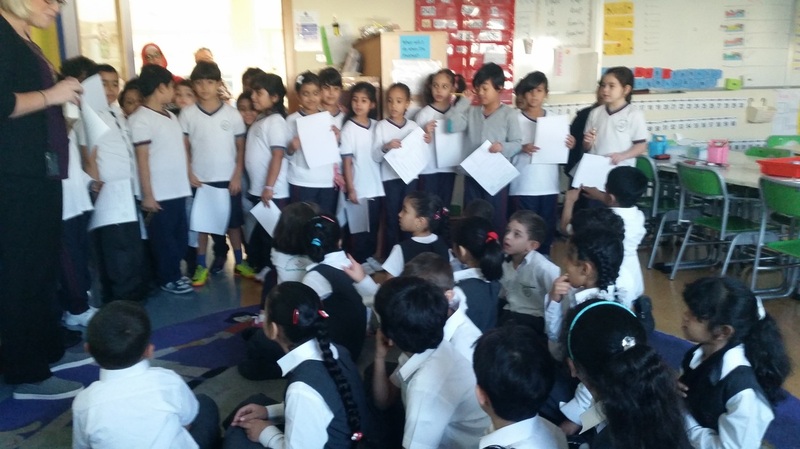 we told them how we can be caring at home and at school. we told them how we can help our teacher in class. 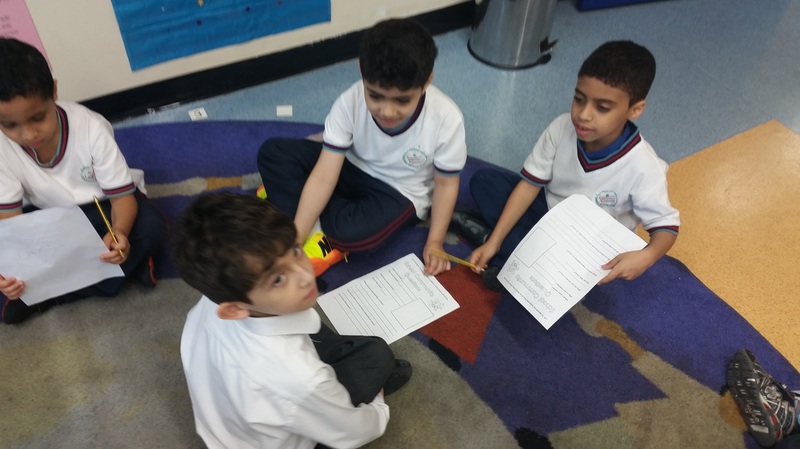 We were learning how to read a thermometer. 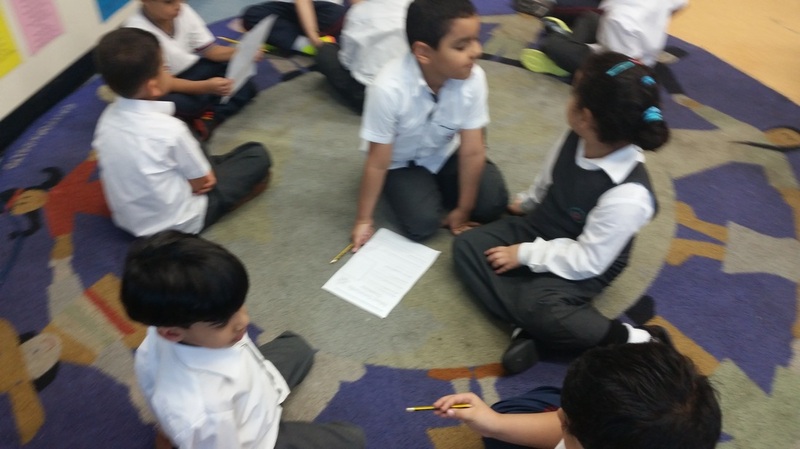 we went outside to record the temperature outside and we compared it to the temperature in our classroom. 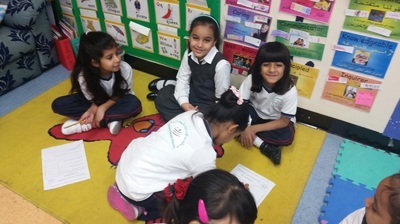 We are learning how to 'Read to Self' in our class. 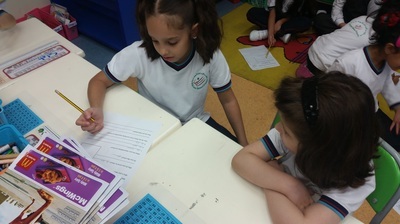 We learned that there's three ways to read a book; read the pictres, read the words and retell a previously read book.